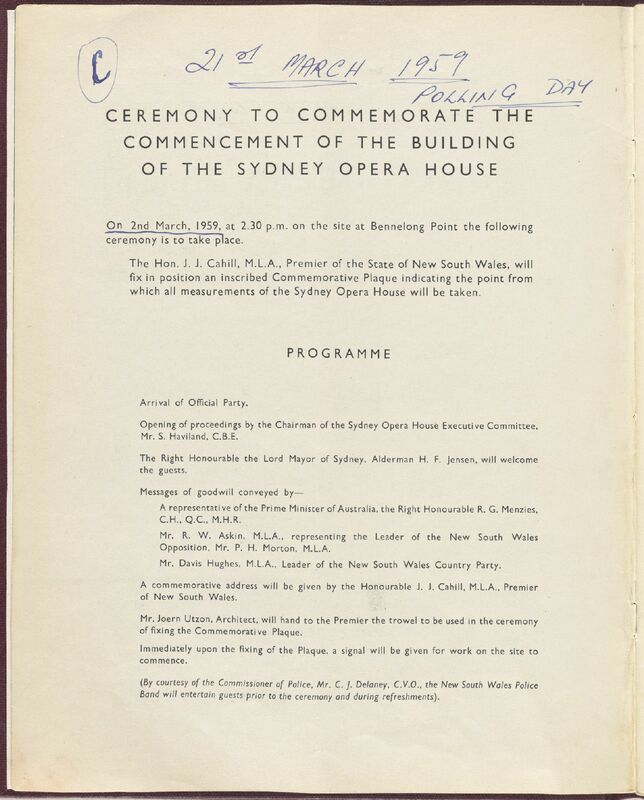 At this ceremony the Premier, the Hon. 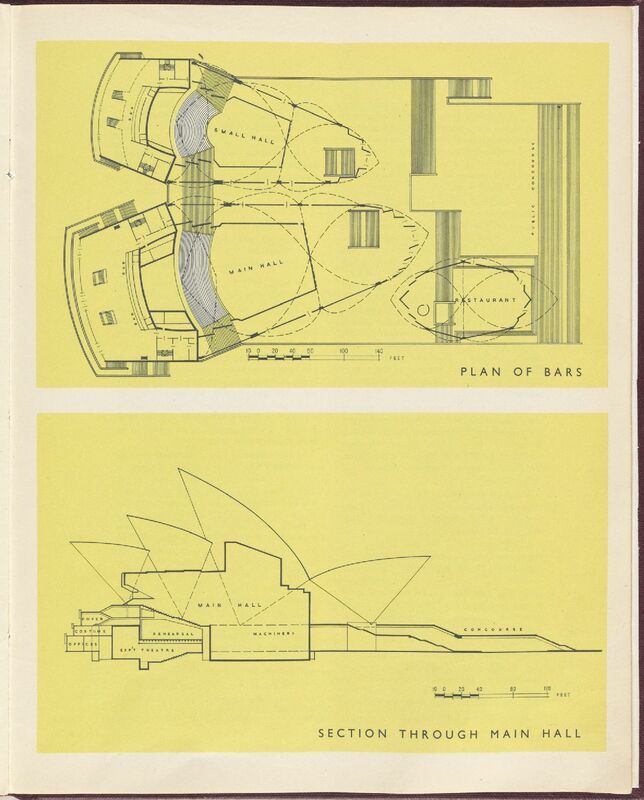 J.J. Cahill M.L.A., positioned a plaque indicating the point from which all measurements of the Sydney Opera House would be taken. 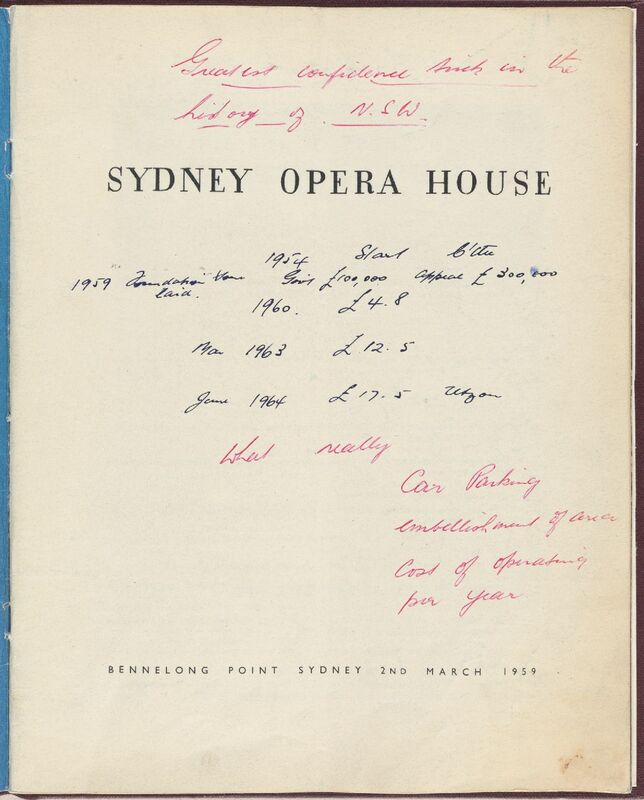 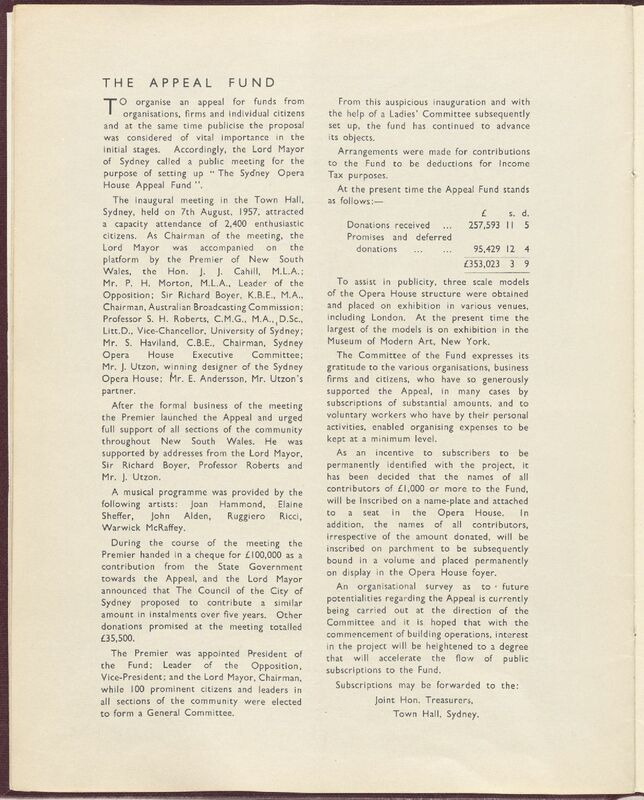 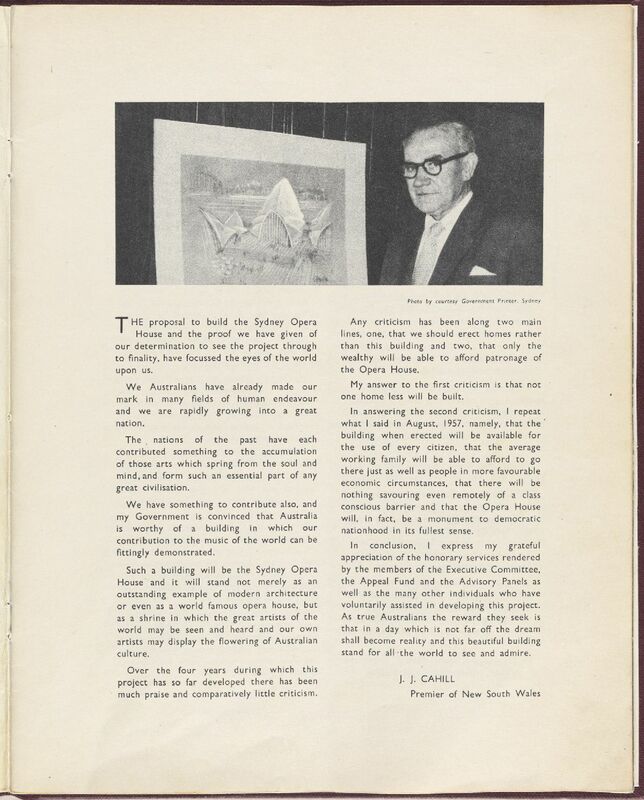 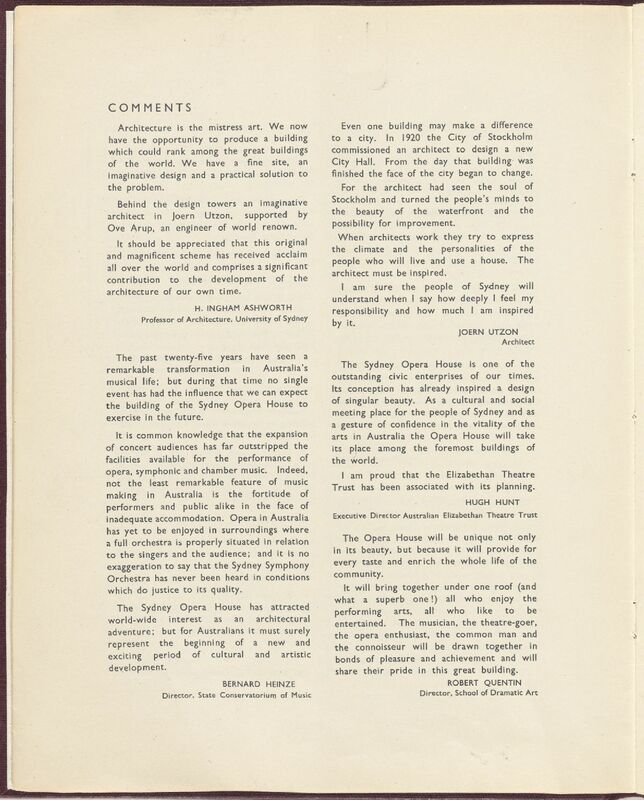 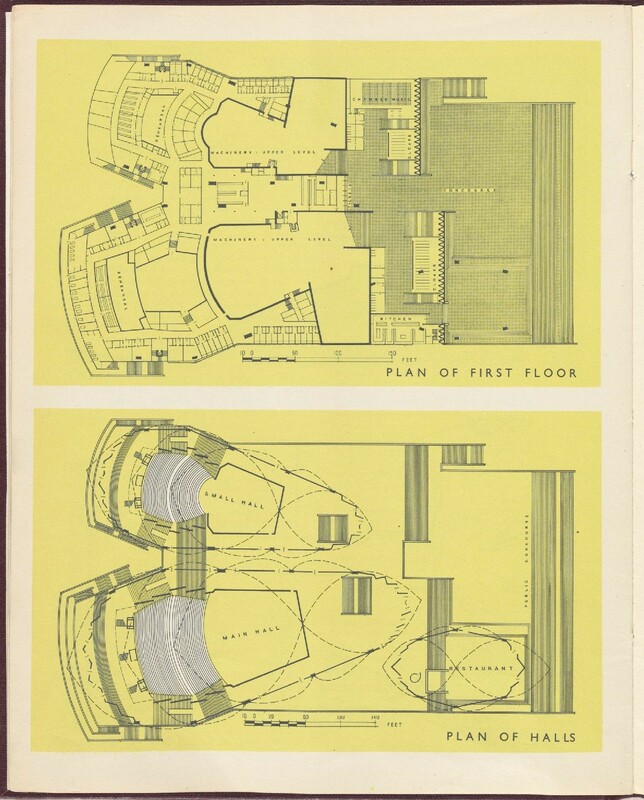 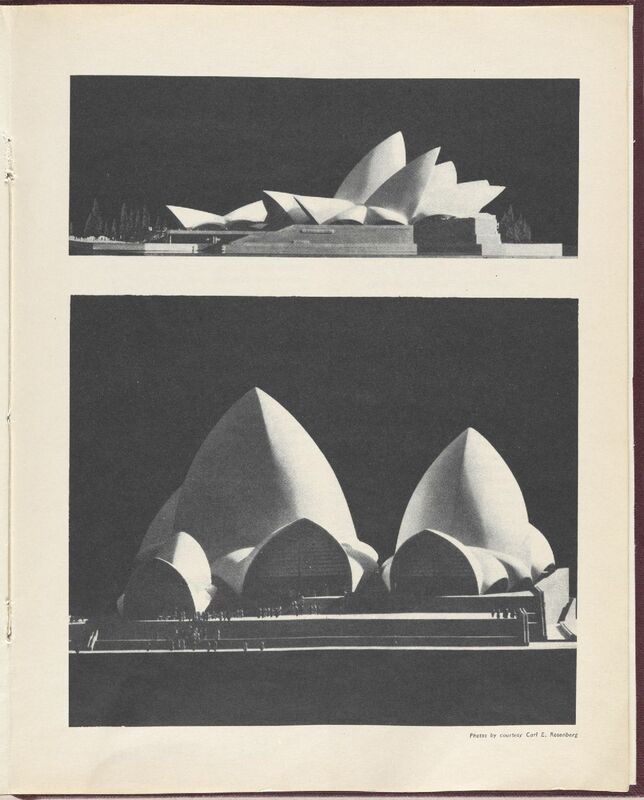 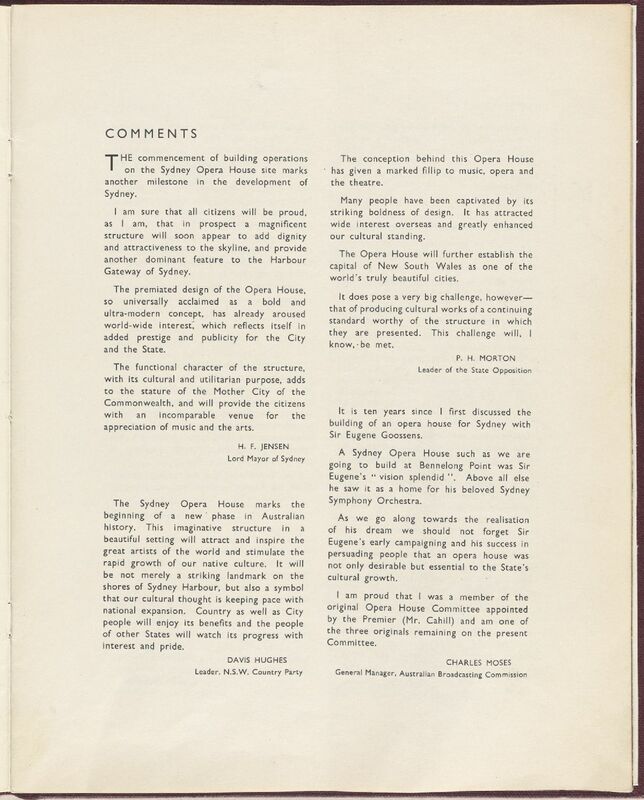 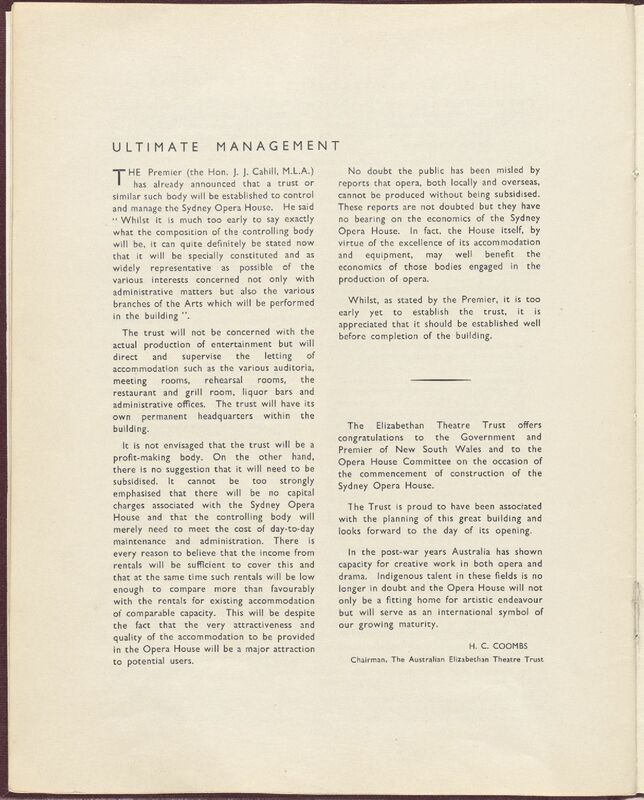 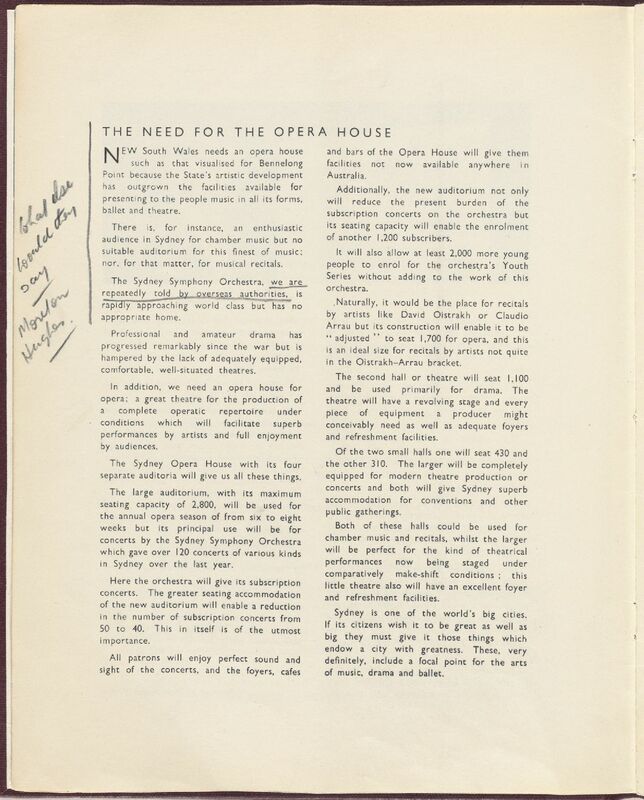 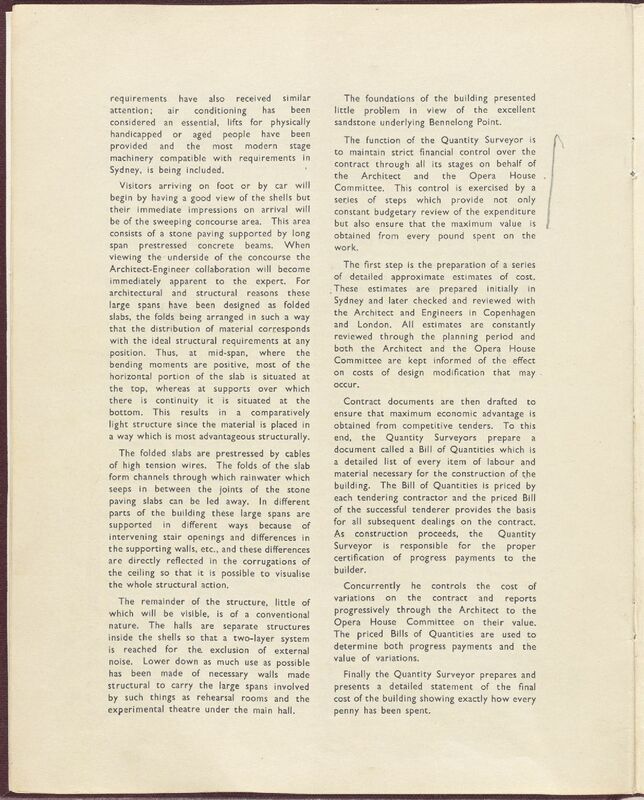 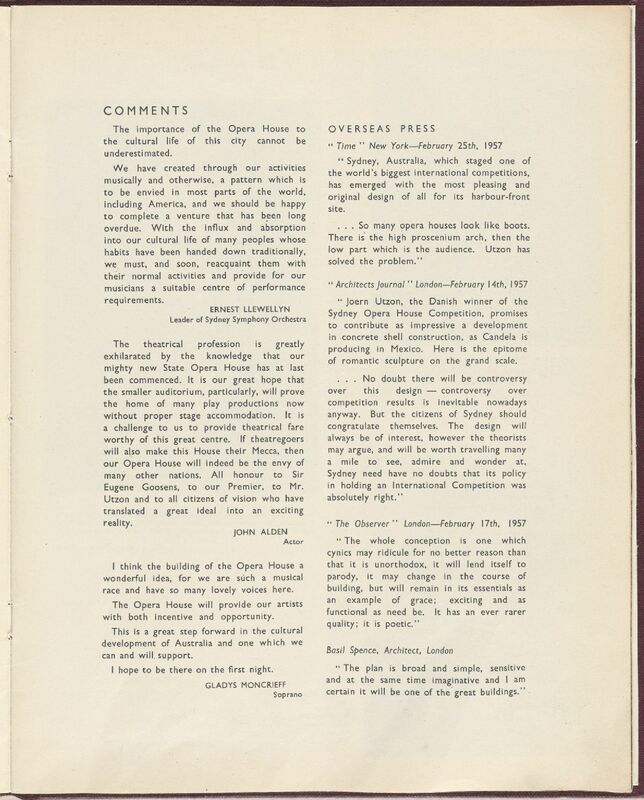 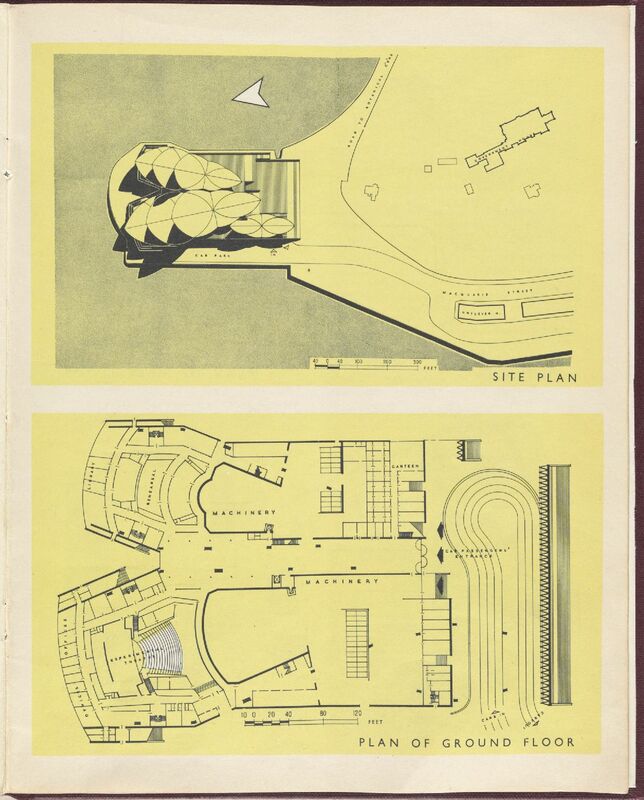 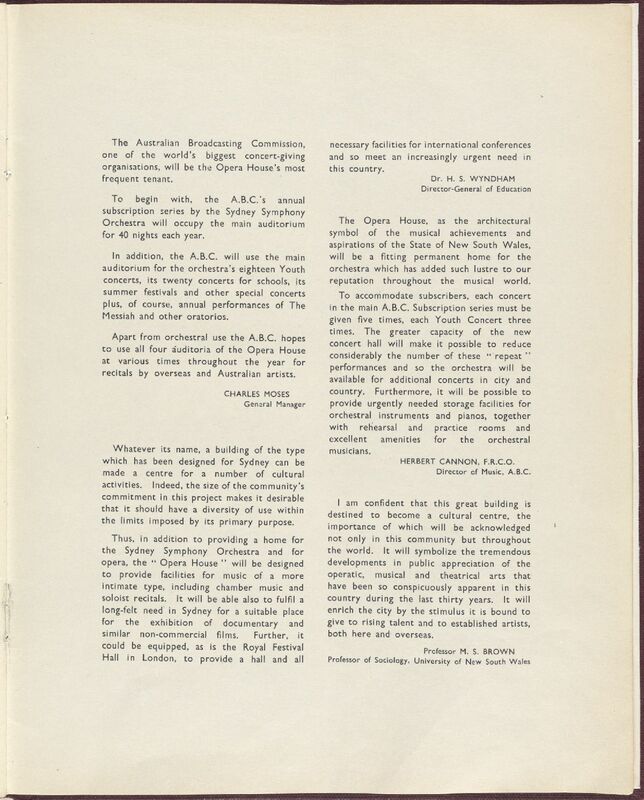 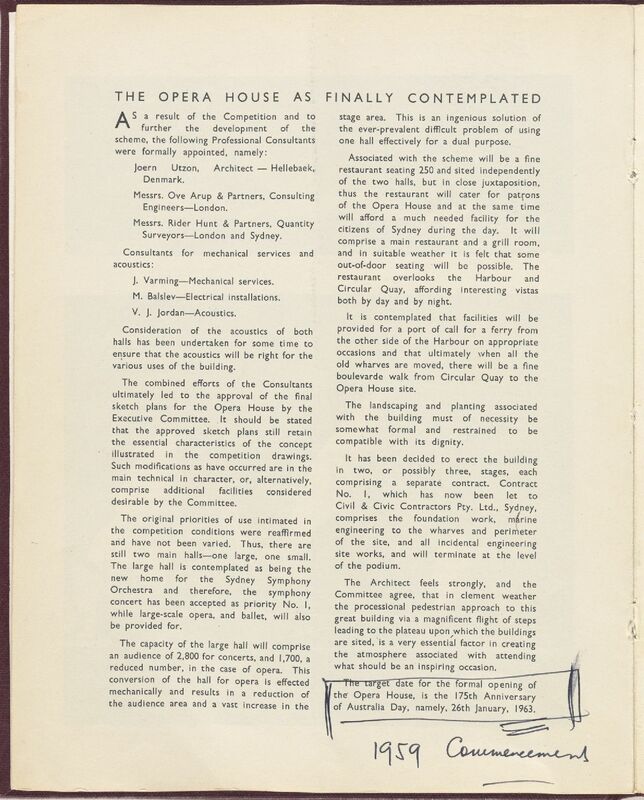 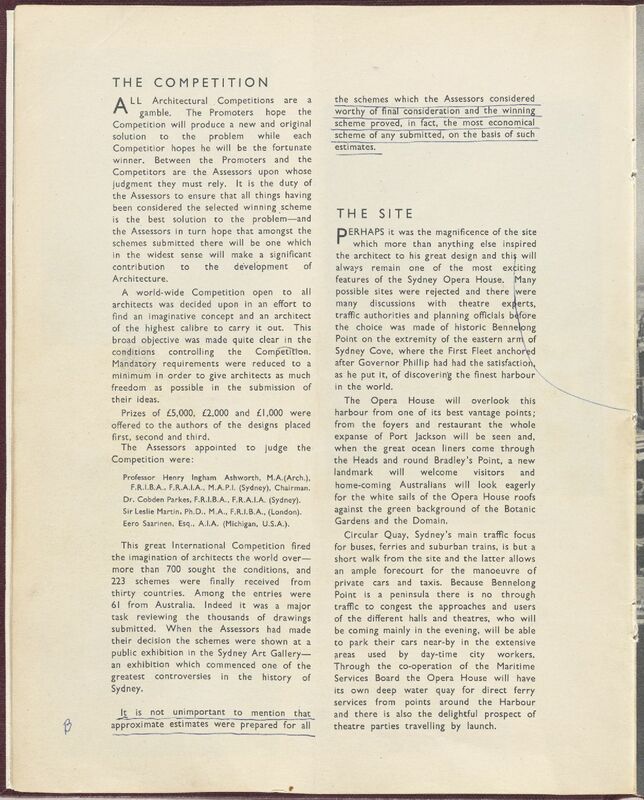 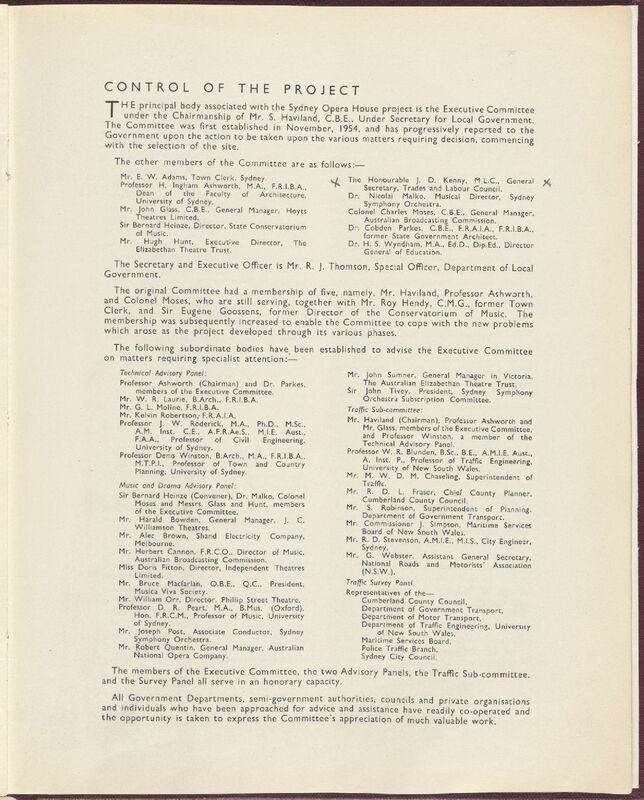 The booklet comprises a foreword by the Premier, comments on the Opera House, notes on the competition, the site, the design, and plans. 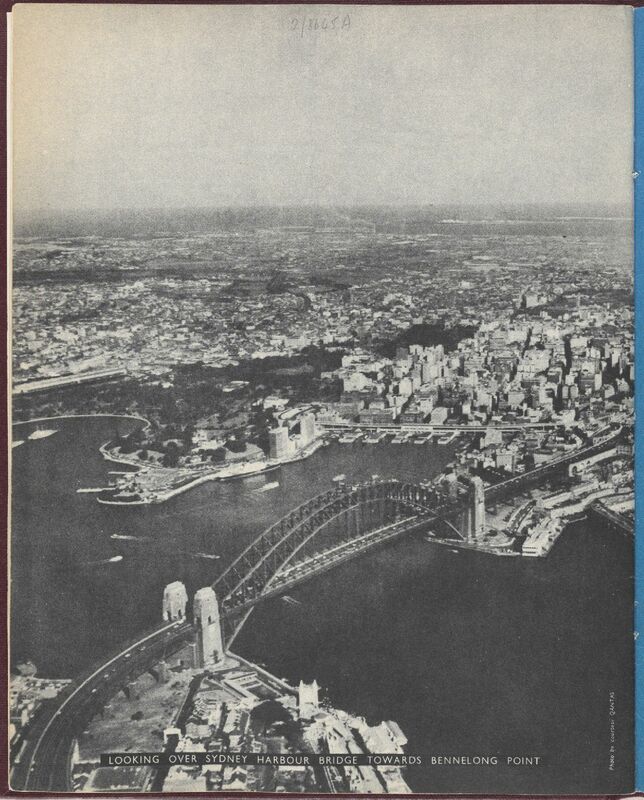 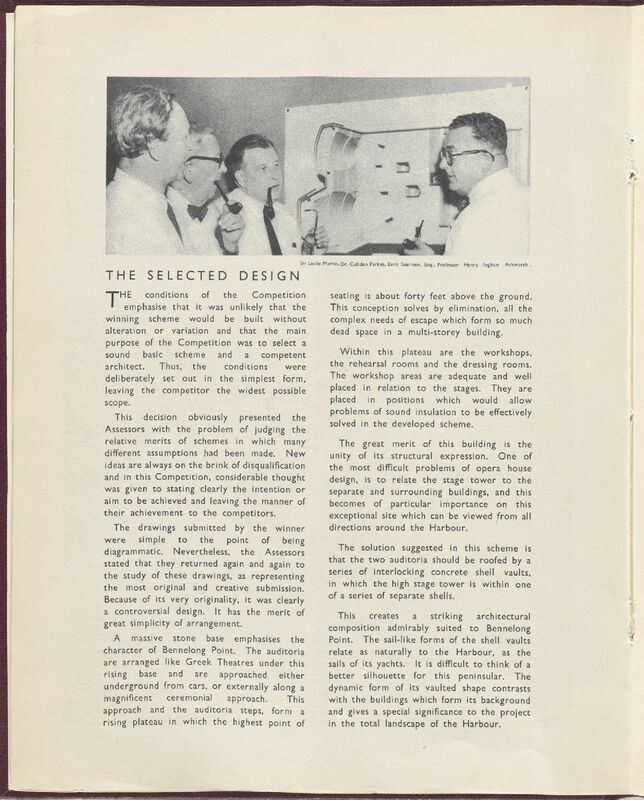 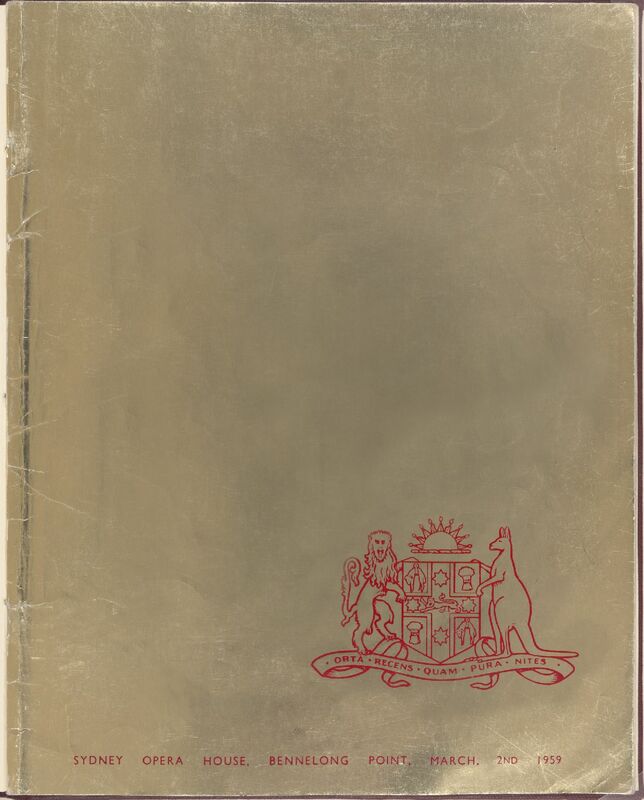 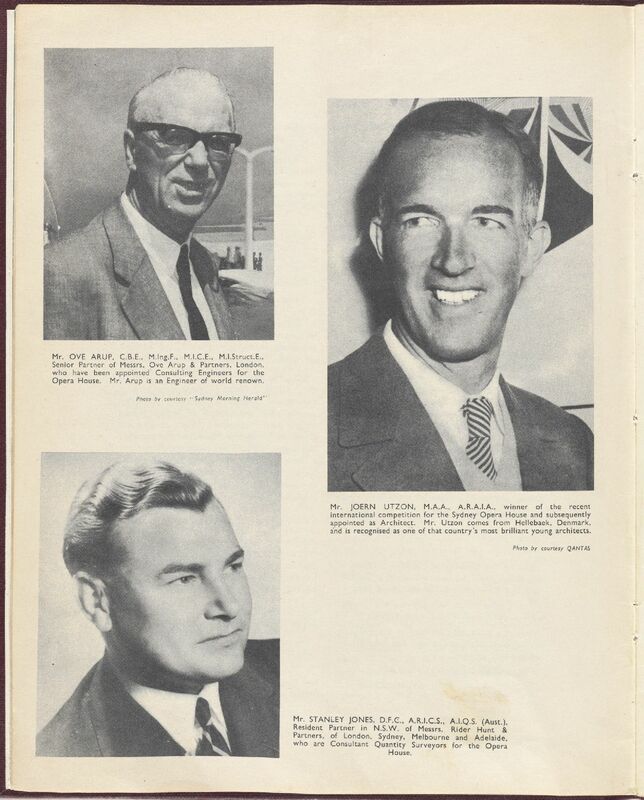 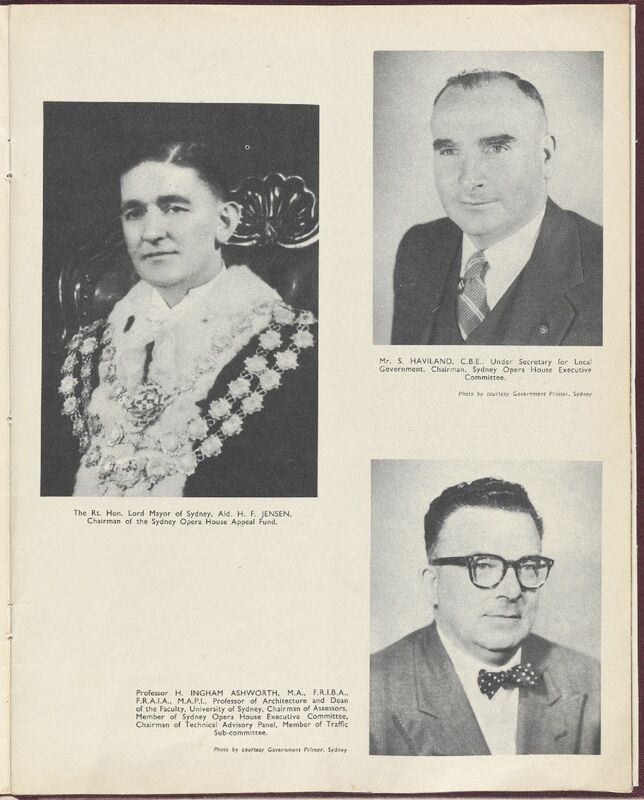 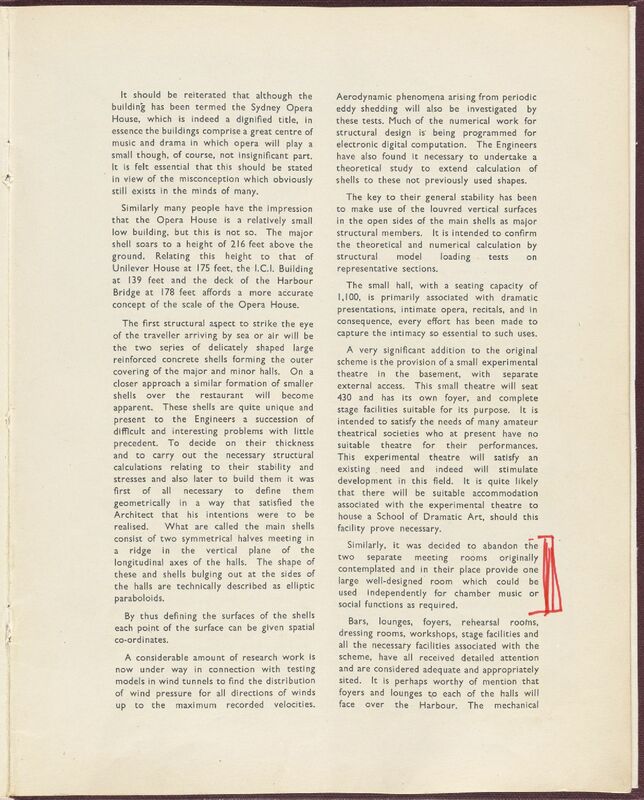 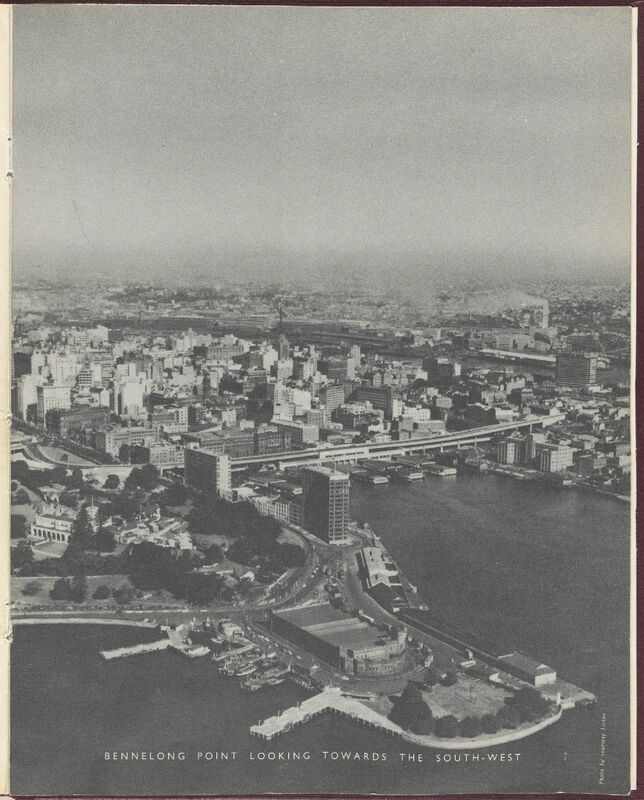 The booklet was printed in Sydney by V.C.N Blight, Government Printer in 1959.